MadeToCompare is a Plug-In for Adobe InCopy CS3 - CC. Once you have opened any two document versions, you can start MadeToCompare. the right column shows the variations between the two texts. This thoroughly comprehensive protocol lists all discrepancies between the two texts. MadeToCompare is even capable of displaying in full detail substantial differences such as the repositioning of entire sections of text or newly-inserted text. It is able to do this by making use of a special procedure of text synchronization. And unlike other more common solutions for tracing changes in texts (e.g. in Word), with MadeToCompare there are no conditions to fulfill. MadeToCompare has been in use in the editing field for years. It can be seamlessly integrated into vjoon K4 Publishing System and Woodwing Enterprise. 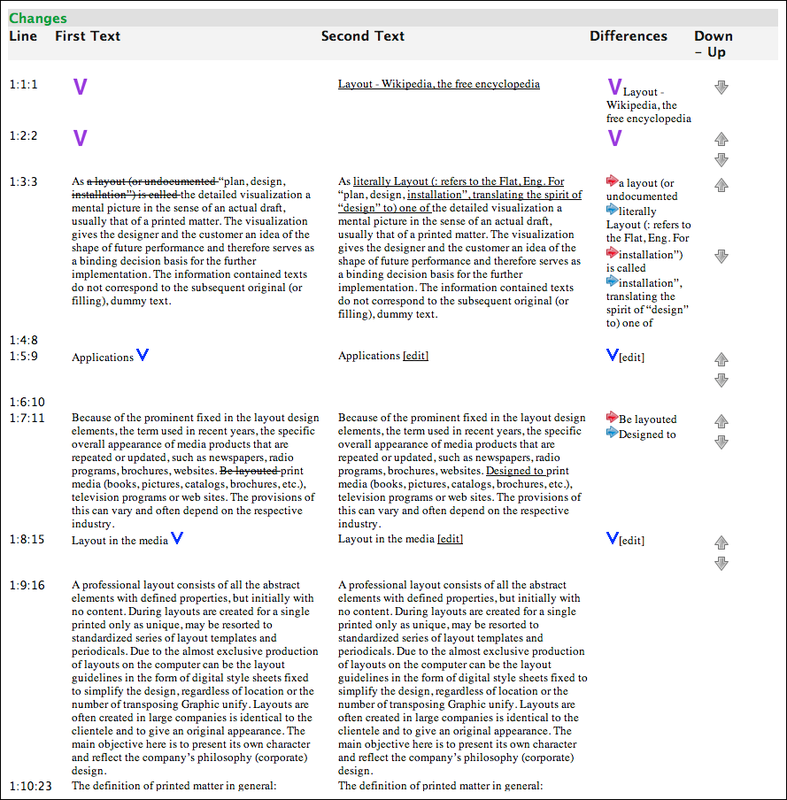 In proof-reading it is customary to read early versions of texts but to use MadeToCompare for the final revisions, saving considerable time at the final proofreading stage. Agreeing revisions with authors: The author receives a version of the document for his/her browser, in which all the editorial changes have been noted.